Festival of Friends Of The Medina Erriadh | Djerba: Info, Maps, Photos, Hotels, Attractions, Restaurants, Excursions, Walks at sea, Quad ..
Festival of Erriadh cultural event "Djerba invites France"
The "Friends of the Medina" association invites you to Erriadh Festival in its 5st edition, and will welcome you on Saturday April 29 9h30 on the central square in the village of Erriadh (Independence Square), around a friendly breakfast. The festival will take place from April 29 1er May 2017. In addition to various cultural events (craft market, demonstrations of craftsmanship of the region, exhibition of paintings and workshop for children, acrobatic evening at the Municipal Theater Houmt-Souk), this edition will offer you new moments with the tour of the island in old cars (enclosed brochure), a theme trip by bike (in the vicinity of the village) and shows that will animate the seven village squares throughout the day Monday 1er May (program attached). 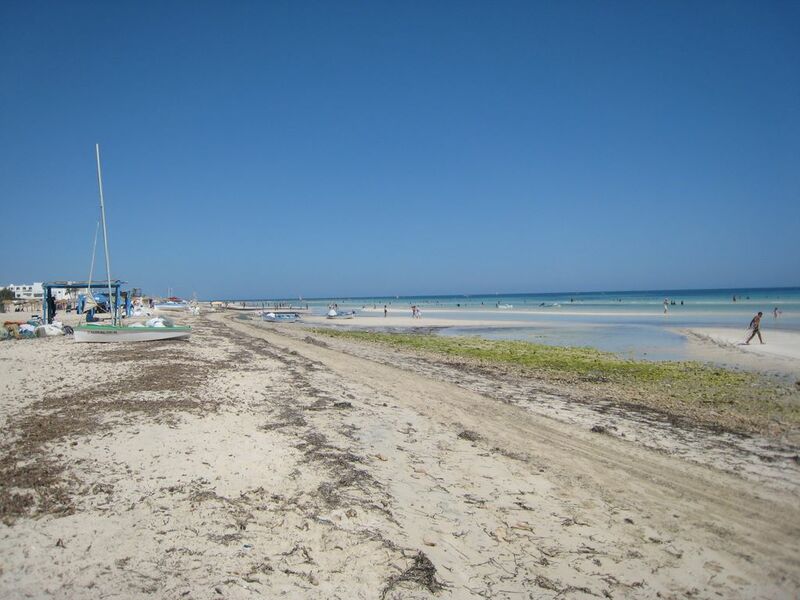 Who said nothing is happening in Djerba? It would be cool you notice this in your calendar (yes, super charged) and that you were talking about you. That connected activists get a word on their FB pages! That others are content to transfer this mail to the whole world! The association "Friends of the Medina" invites you to the second edition of Festival of the Medina, which will take place 1er of the 3 May 2014 in Erriadh (Djerba)Cosmopolitan town full of history, in the heart of an island crossroads of cultures since time immemorial. "Friends of the Medina" on the initiative of the festival, is a civil association that aims to protect, promote and develop the cultural heritage of the village of Erriadh, and develop a new tourism with a strong cultural component to restore life to craft and artistic activities in the region. This new edition will be placed under the sign of cultural diversity and coexistence. The festival team will welcome you on May 1er soon 9h00 in the friendly space of the old market house that, like last year, shopping for crafts and handicrafts, and an exhibition of paintings of an artist village. In addition to various cultural and folkloric events (Tabbala, Gougou, Snake Charmer, equestrian show, traditional Djerbian wedding with Barboura & Jahfa, Emdawri, theatrical pictures, songs & poetry with leading artists ...), innovate this edition and will offer unprecedented times and, no doubt, a different take on the cultural diversity of the island and its rich tangible and intangible heritage. Thus, at the wheel of a dozen vintage cars, our guests, locals and tourists, will discover the island, its museums, its mosques, its synagogue, its beaches, etc ... before returning to the heart of the village where inhabitants will open the doors of their houses to make us discover both the rich architectural heritage of the island and the many aspects of everyday life (exhibition of old photos and traditional clothes, gastronomic tastings, escape in the imaginary of a storyteller). The Medina Festival wants to exchange catalyst and creativity. Hopefully, the second edition is a step in that direction. The festival is free and open access for all. The association "Friends of the Medina" invites you to the Festival of the Medina in his 4st edition. The festival will run from 6 to 8 May 2014 in Erriadh (Djerba), a village made famous by the ephemeral street art exhibition "Djerbahood". The festival team will welcome Friday 6 May from 9h00 on the central square in the village (Independence Square), around a local breakfast, a moment of conviviality and exchange that will mark the beginning of the event.